One of the things I really enjoy about Bagni di Lucca is occasionally coming across traditional farming activities. In the area behind Montefegatesi on the way to Orrido di Botri it is not unusual to come across a large herd of goats, with the occasional sheep, being brought in for the evening after a day foraging in the forest. It doesn’t even matter when the road is taken over for a while. 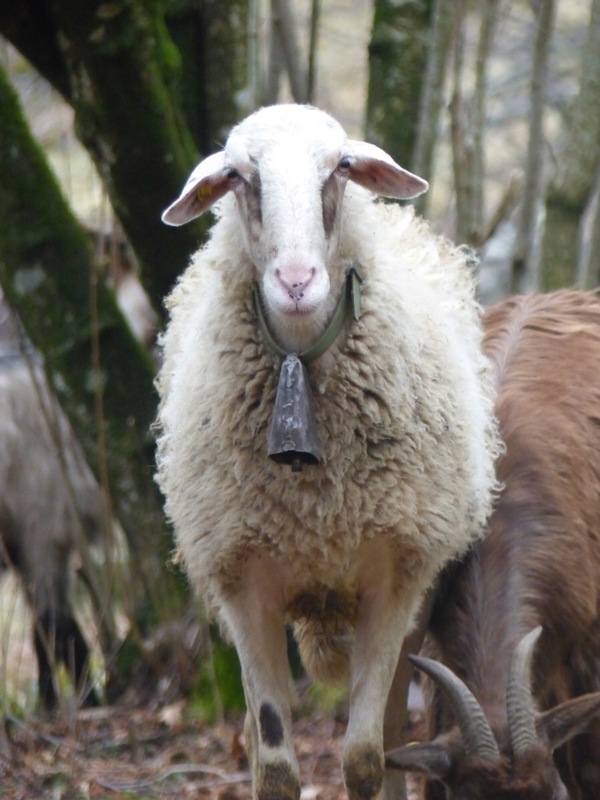 These goats are milked to make cheese, a labour of love for the couple responsible. I wonder if young people will step up to keep these jobs alive or will they eventually be lost. 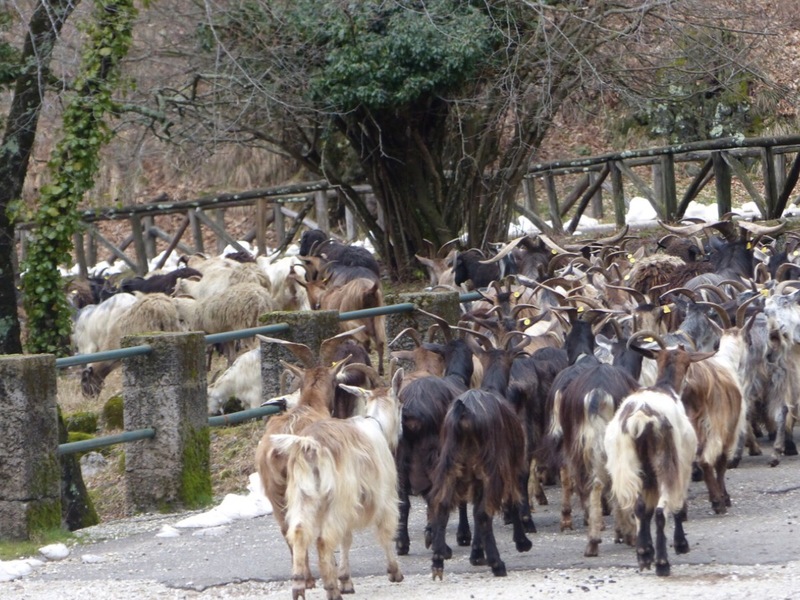 This entry was posted in Garfagnana, Nearby towns and villages, Things to see and do and tagged Bagni di Lucca, goats, Italy, Orrido di Botri, rural setting, Tuscany by Debra Kolkka. Bookmark the permalink. These are very well cared for goats. Thank you! It is a gorgeous area. Aren’t they beautiful. I do hope the cheese making tradition continues. Those silly faces! They always make me laugh…I used to raise milk goats and I don’t recall ever being so entertained. They were all very curious, keen to take a look at us. Deb, you’re killing me! You know that I’m loving the goat posts!! All for you Pete. I know you love a goat pic. 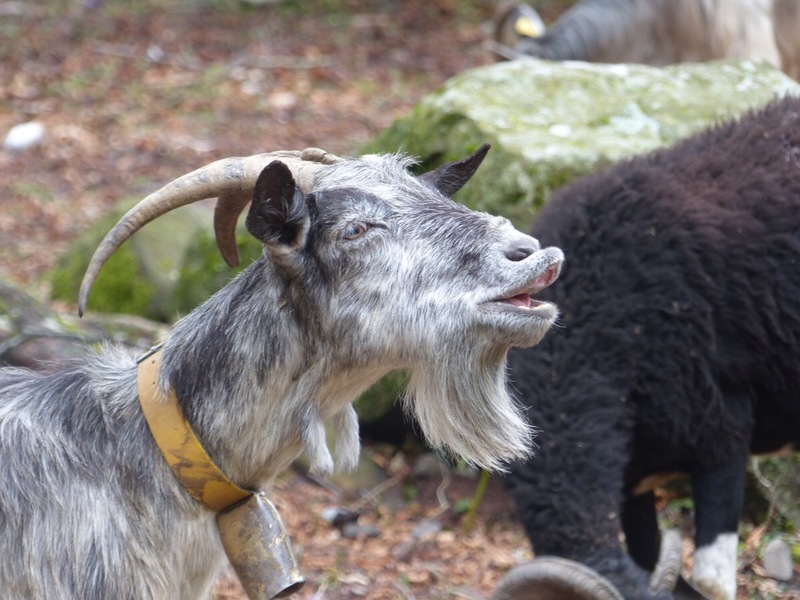 Happy goats make great cheese! They look delighted with their life. They did look very pleased with themselves.